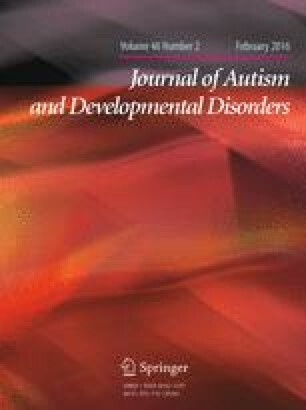 Auditory hyper-reactivity is a common sensory-perceptual abnormality in autism spectrum disorders (ASD), which interrupts behavioral adaptation. We investigated acoustic startle response (ASR) modulations in 17 children with ASD and 27 with typical development (TD). Compared to TD, children with ASD had larger ASR magnitude to weak stimuli and more prolonged peak startle-latency. We could not find significant difference of prepulse inhibition (PPI) or habituation in ASD children compared to TD. However, habituation and PPI at 70-dB prepulses were negatively related to several subscales of Social Responsiveness Scale and the Strengths and Difficulties Questionnaire, when considering all children. Comprehensive investigation of ASR and its modulation might increase understanding of the neurophysiological impairments underlying ASD and other mental health problems in children. The authors wish to thank all the subjects who participated in this study and their parents. This study was supported by Grants-in-Aid from the Japanese Ministry of Education, Culture, Sports, Science and Technology (23890257, 24591739), Intramural Research Grant (23-1, 26-1) for Neurological and Psychiatric Disorders of NCNP, Research Grants from the Ministry of Health, Labour and Welfare of Japan (H19-KOKORO-006 and H20-KOKORO-004), and the Center of Innovation Program from Japan Science and Technology Agency, JST. HT conceived the study, participated in its design, supervised the entire project, collected the data, performed the statistical analyses and drafted the manuscript; YK also supervised the entire project, confirmed the research diagnoses of ASD and TD, was critically involved in the collection and analysis of the data, and drafted the manuscript; SK, TN and KO were involved in the collection of the majority of the data, and helped to draft the manuscript. All authors read and approved the final manuscript. Moriwaki, A., & Kamio, Y. (2014). Normative data and psychometric properties of the strengths and difficulties questionnaire among Japanese school-aged children. Child and Adolescent Psychiatry and Mental Health. 21, 8(1):1. doi: 10.1186/1753-2000-8-1.